September | 2011 | Find meaning at work and advance in your career. Nothing Takes the Place of an In-Person Conference! I Didn’t Get a Call Back. What Did I Do Wrong? 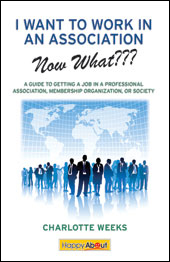 I Want to Work in an Association – Now What??? Published!